As previously announced, on April 7, 2015, List Hub will no longer distribute listings to Zillow or Trulia. CRMLS has entered into an agreement with the Zillow Group to preserve the ability for our brokers to continue to send their data directly to Zillow and Trulia without interruption. CRMLS will only send listing data to Zillow and Trulia if a broker to do so. The Broker can opt-in and GIVE his/her agents the ability to choose to syndicate. The Broker can opt-in and NOT GIVE his/her agents the ability to choose to syndicate. The Broker takes no action and no listings will be sent. On April 7, 2015 ensure you log in to Matrix and take the following steps to manage your syndication options. Under the Roster section, TYPE you OFFICE ID in the Quick Modify field click Edit. Under the Modify Roster section, CLICK ON, MANAGE SYNDICATION. Under Syndicate To, CHECK THE BOX, if you choose to have your office listings syndicate to Zillow/Trulia. Finalize the process by clicking, SUBMIT ROSTER. Agents, please note, If your Broker has not yet opted-in OR has chosen to opt-in without giving agents the ability to choose their own syndication, you will NOT have access to the Manage Syndication link in Matrix. in the Quick Modify field and CLICK EDIT. 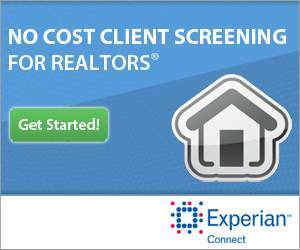 Finalize the process by clicking, SUBMIT AGENT. For clarification of your Broker’s syndication choices, please contact your managing Broker directly. CRMLS is hopeful that the majority of opt-in selections by Brokers will be provided to CRMLS from ListHub and the Zillow Group, however, CRMLS cannot guarantee that we will be provided with this information or what they provide will be 100% accurate. We recommend all Brokers review their “Manage Syndication” page in Matrix on April 7, 2015 to ensure their choice is accurately reflected. We've got you covered. If you are in need of technical support, please click the button below to submit a support request. A California Regional MLS customer care representative will be happy to assist you during normal business hours. We've got resources. California Regional MLS offers a variety of free success tools to keep you well informed on the products and services available to you. Choose from classroom training, webinar training, online videos, manuals and reference guides. Click the button below to visit the California Regional MLS Training Center.